1 obi : silk, wool ; 11.5 x 150 in. 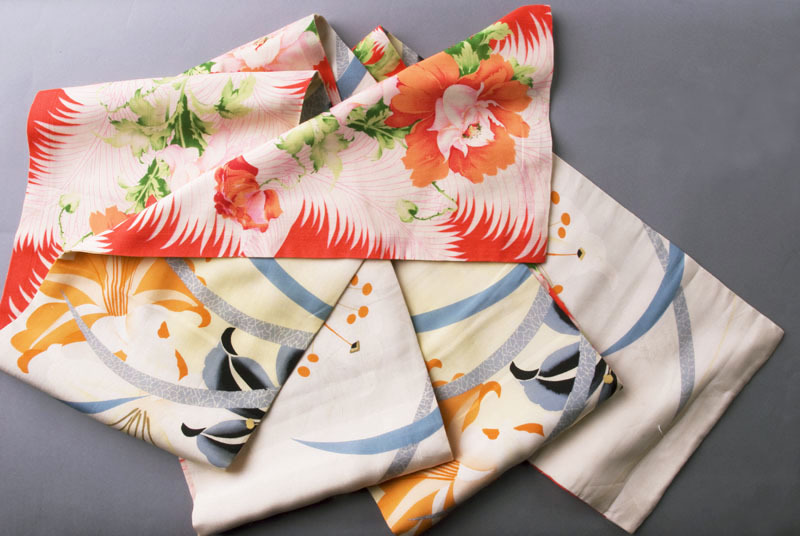 Chirimen (silk crepe) and wool (mosu) awase obi featuring large pink and orange peonies with green/light green leaves and stems over cream colored palm leaves on red background on one side and large white and orange star lilies, gray and black lillies at edge, and blue-gray solid and crackled sharp pointed leaves on cream, pale yellow and pale gray blocks of color on other side. Peony pattern repeats approximately every 15 in. on wool fabric. Lily pattern repeats approximately every 28 in. 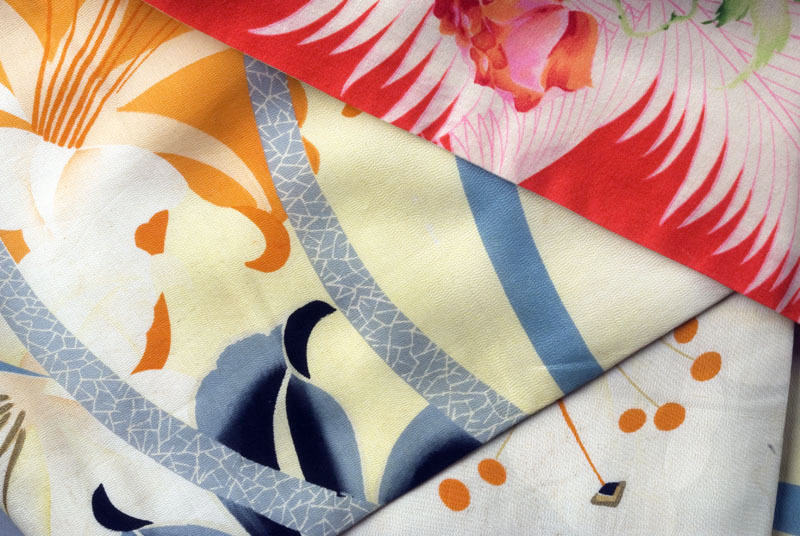 on silk crepe. Worn by Elsie Tawaza Ishihara, 1930's. Mosu fabric after it served its purpose (worn and faded) it was made into diaper covers. Fabric was water-repellent. Peony pattern fabric is the same as 2004.1.103.